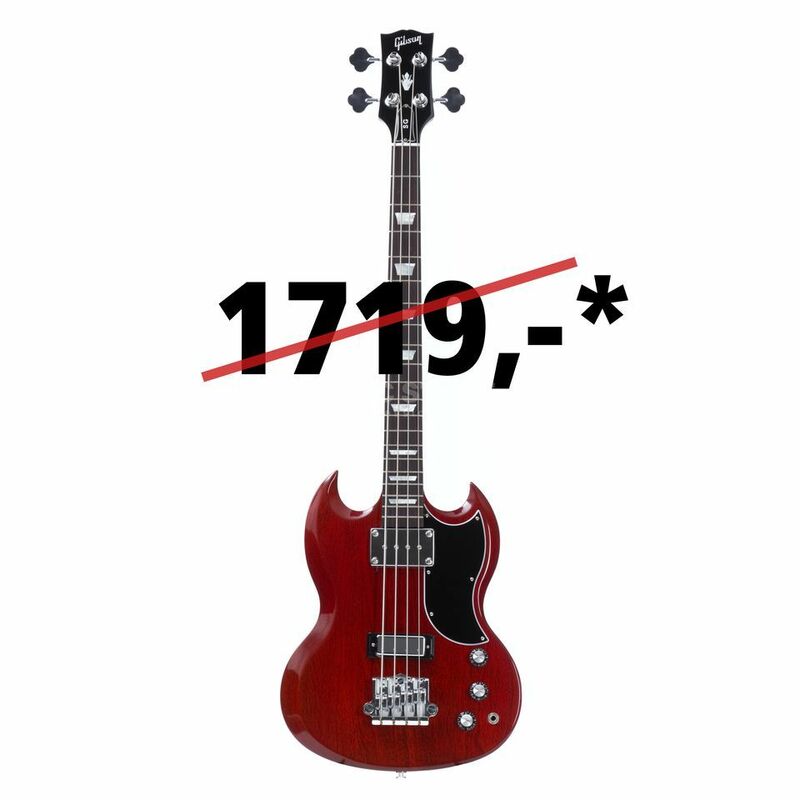 GIBSON DEAL OF THE YEAR! Due to a huge shipment we received recently, we are able to offer original Gibson USA Basses at unbelievably low prices! We suggest you act now, while supplies last. These deals certainly won’t last for very long. These premium quality instruments deliver the original Gibson sound and are equipped with modern technology. Equipped with a fat Rhythm, SG Bass Humbucker in the neck position and a Lead SG Bass Humbucker in the bridge, the Gibson SG Standard Bass 2015 covers a very wide sound spectrum. From saturated low-end growl from Rock and Reggae to transparent Jazz, is satisfies every Bassists desires. The neck with its rounded profile lies comfortably in your hand fo the perfect grooves. High-quality hardware in the form of a massive Babicz bridge and robust Grover tuners, rounds off the package.